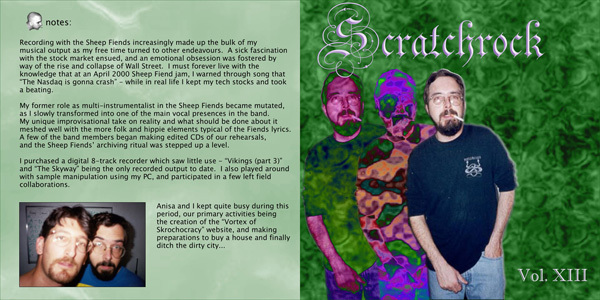 I graduated from school, got married, landed a decent job and moved back to the dirty city. 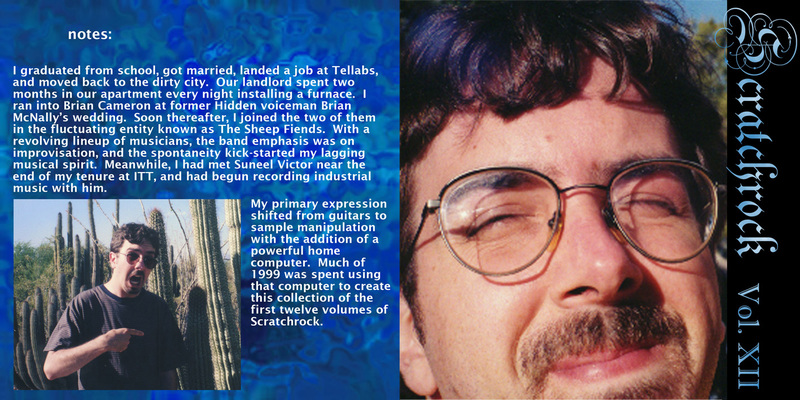 Our landlord spent every night for two months in our apartment installing a furnace. I ran into Brian C. at former Hidden voiceman Brian M.’s wedding. 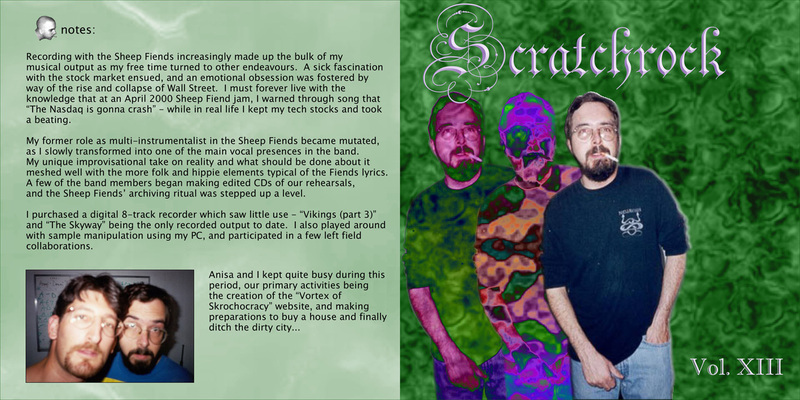 Soon thereafter I joined the two of them in the fluctuating entity known as the Sheep Fiends. With a revolving lineup of musicians, the band emphasis was on improvisation, and the spontaneity kick-started my lagging musical spirit. 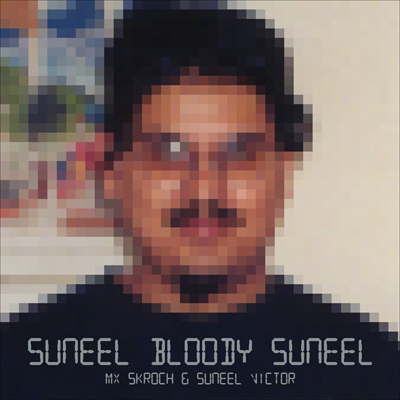 Meanwhile, I had met Suneel near the end of my tenure at ITT, and had begun recording industrial music with him. 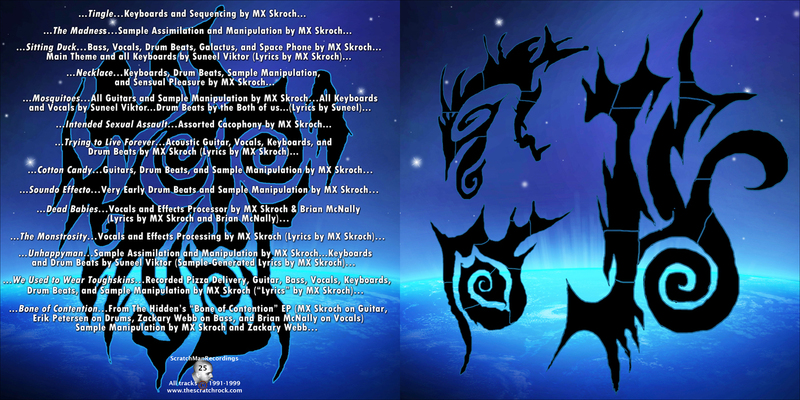 My primary expression shifted from guitars to sample manipulation with the addition of a powerful home computer. 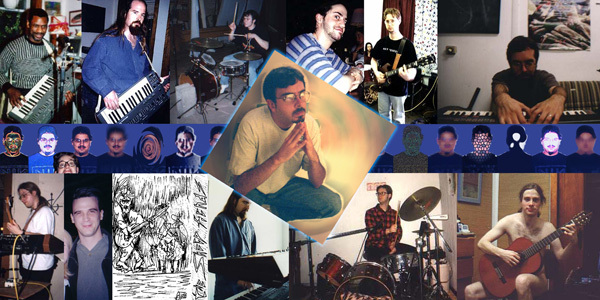 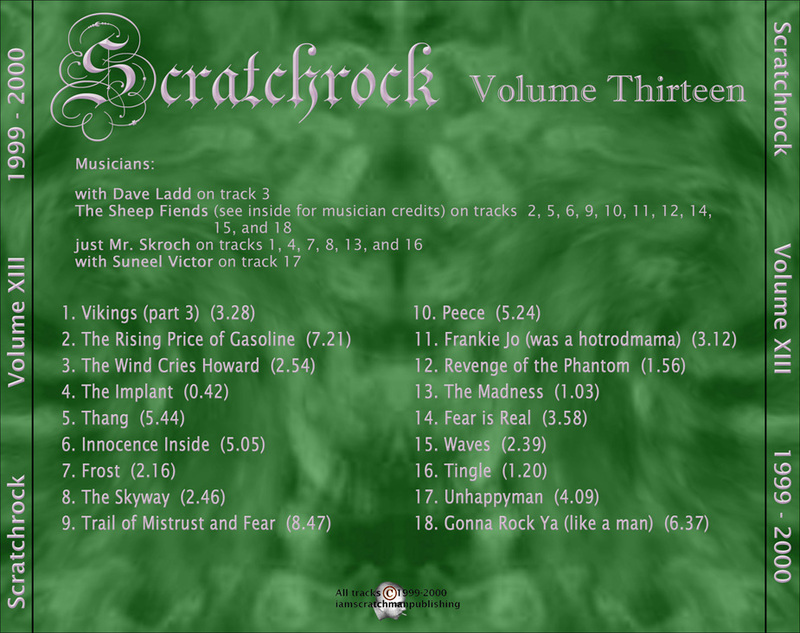 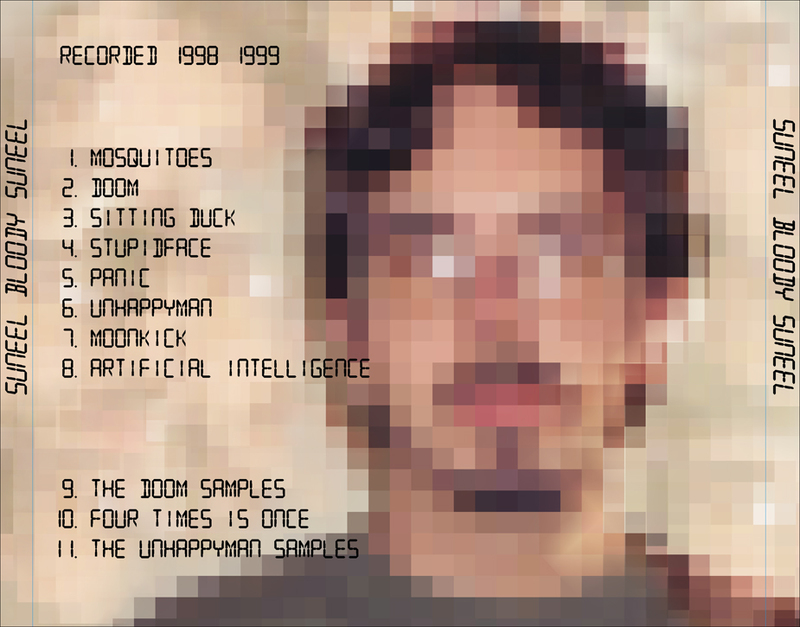 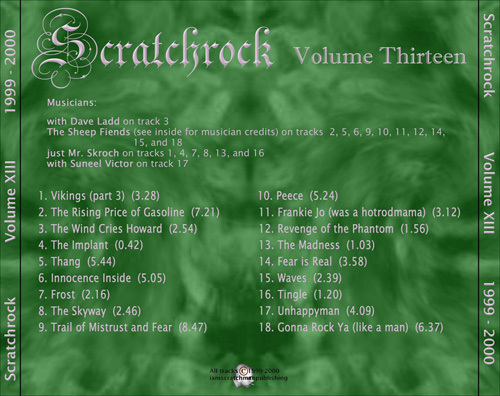 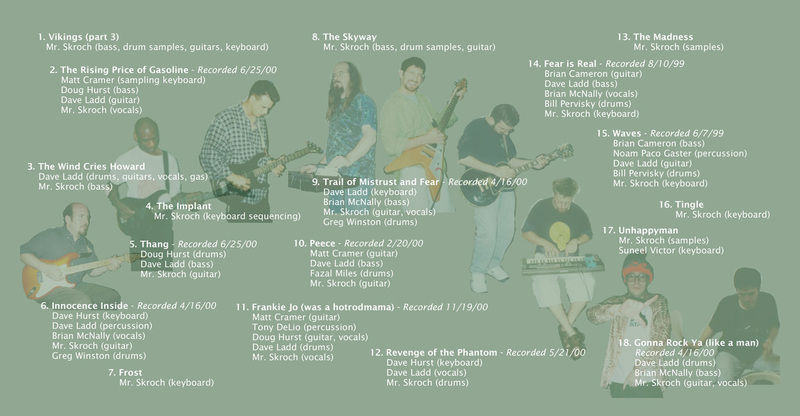 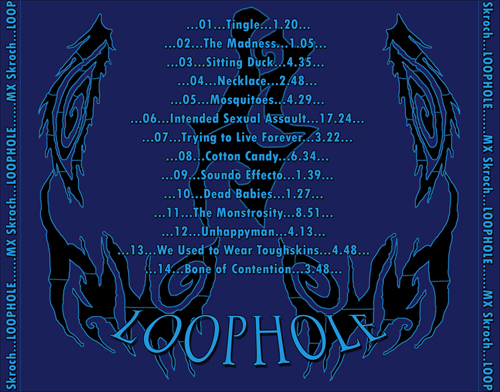 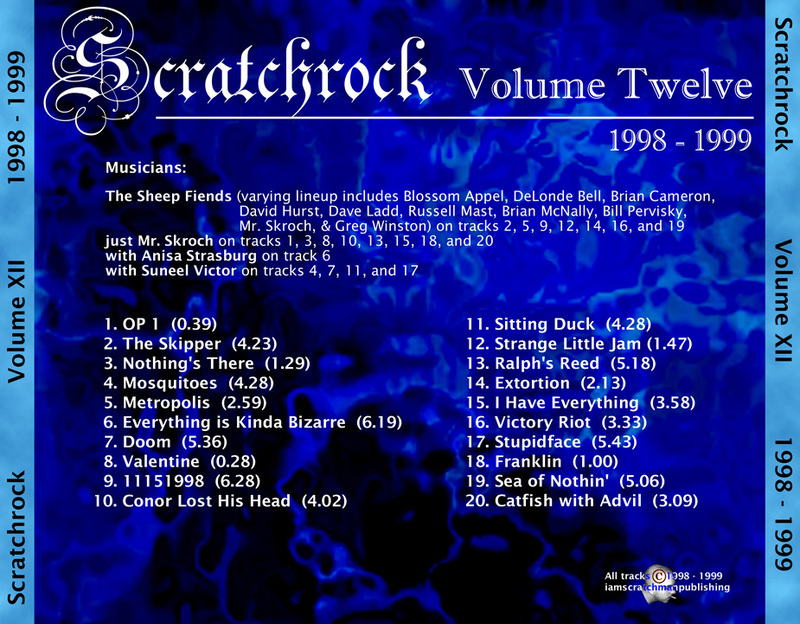 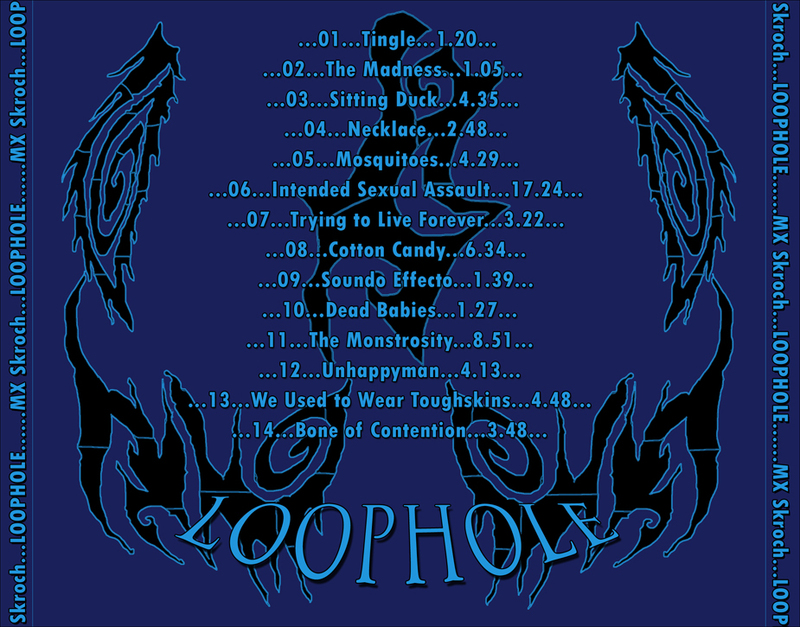 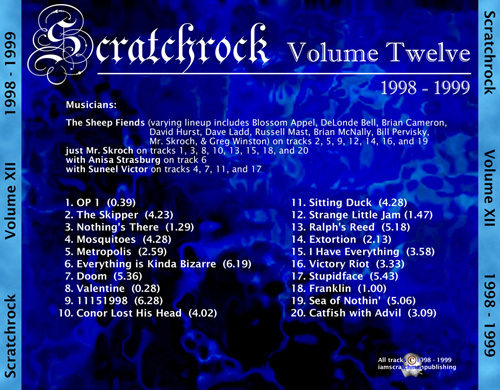 Much of 1999 was spent using that computer to create the first twelve volumes of Scratchrock.